Looking to the heavens, charting the stars and just delighting in the awe and beauty - brings thousands of visitors to the Planetarium. 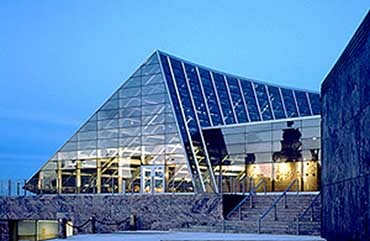 The Adler Planetarium & Astronomy Museum was the first planetarium theater in America. It was founded in 1930 by Max Adler. Thus Max Adler founded the foundation of the Adler's History of Astronomy Collection. Today, the Planetarium is one of the foremost landmarks in Chicago. The Adler Planetarium ranks among the famous museums and aquariums that visitors to Chicago have grown to recognize as a symbol of Chicago's resources. on comets and cosmological texts and tables. There are treatises on mathematics and practical applications, works on optics, physics, astrology, geography, navigation and early encyclopedias and dictionaries. One may gain access to the research and reference library by contacting the History Department. 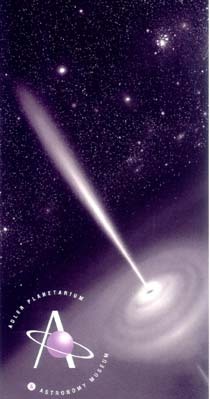 There are recorded images of comets and the history of such dating back thousands of years. People of today, no less than in the past are fascinated by their comings. The public may observe the heavens through the Dearborn Telescope on Friday nights. The Dearborn Telescope, dating back to 1861, is at Northwestern University in the Dearborn Observatory. 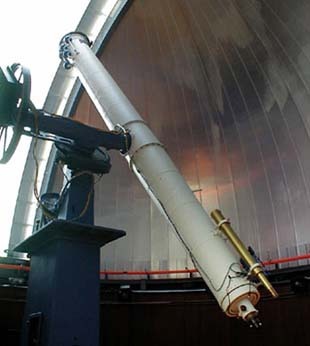 The original polished-wood tube of the telescope can be seen in the Cosmology gallery at the Adler Planetarium. 1690 and the books their astronomers published. Whether you are a scholar, student or interested observer - the Adler Planetarium and Astronomy Museum holds the secrete to the stars for all to observe. One may gain access to the research and reference library by contacting the History Department. The Adler gift shop - The Infinity Shop offers many one-of-a-kind gifts, artwork, books, telescopes and many other unique items. For more information call 312-922-STAR.